Crispy Kara paniyaram recipe | Kuzhi Paniyaram | Masala Paniyaram Recipe | Kara paniyaram recipe |Chettinad Kara Kuzhi Paniyaram Recipe with step by step photos and video recipe. learn ho to cook crispy and tasty chettinad style kara kuzhi paniyaram. 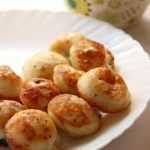 I am so fond of crispy paniyaram and this recipe is conceived from 4 trusted sources and with a lot of trials and a sure hit at the first trial. so, its a foolproof recipe. 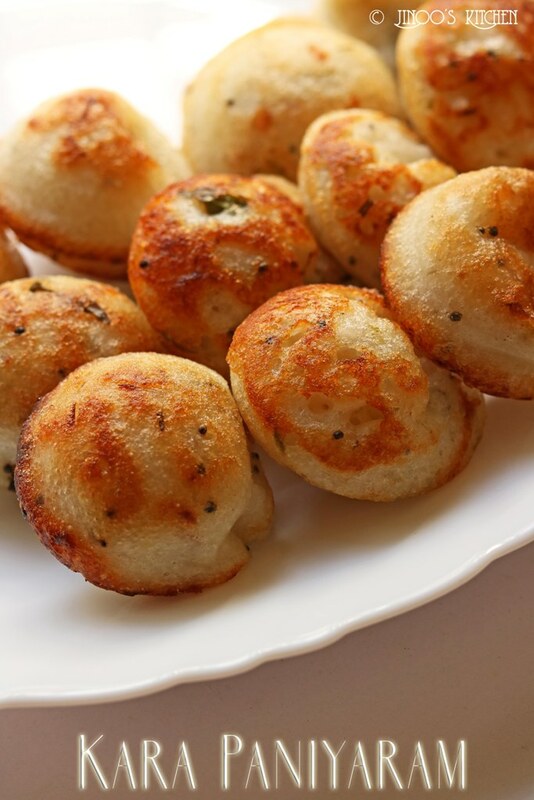 some tips on getting a crispy paniyaram at home. adding rava makes it super crispy. learnt to add cut coconut pieces instead of shred coconut and trust me, thats soo tempting to taste slightly roasted coconut bits in between paniyaram. heat oil, crackle mustard seeds, urad dal, chana dal, curry leaves, red chilli and coconut bits. together add onions and salt required for the onions. fry till it is slightly brown. add the mix to the dosa batter. further add rava and coriander leaves. mix well. add water if required to make a medium thin batter. heat the paniyaram/appe pan and add oil to each pit. pour a ladleful into each pit, close and cook in medium heat until 3/4th cooked. flip over the paniyaram and let the other side get cooked until brown. learnt that even soaking and grinding sago/javvarisi and adding it to batter helps in getting crisp paniyaram but haven’t tried it. cut coconut pieces add more taste than shred coconut. 1.heat oil in a pan and pop in mustard seeds and add urad dal, chana dal, red chillies, curry leaves and coconut pieces. 2. add chopped onions and salt. 3. fry until slightly brown. add the mix to the dosa batter. add to 2-3 cups thick dosa batter. 4. to this, further add rava and chopped coriander leaves. 5. if the batter is thick, add very little water to make it slightly thin. 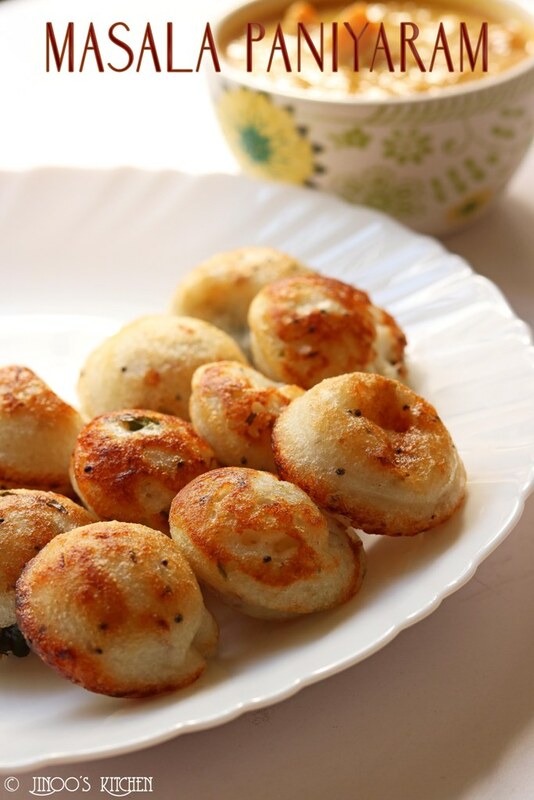 the batter should not be too thick like idli or too thin like dosa. 6. heat the paniyaram pan and add oil to each pit. pour in a small ladle full of batter into it. 7. close and cook in medium heat. 8. after approximately 2-3 minutes turn side to check if its golden brown. turn all the paniyaram. let it cook on the other side for 1 more minute on high.